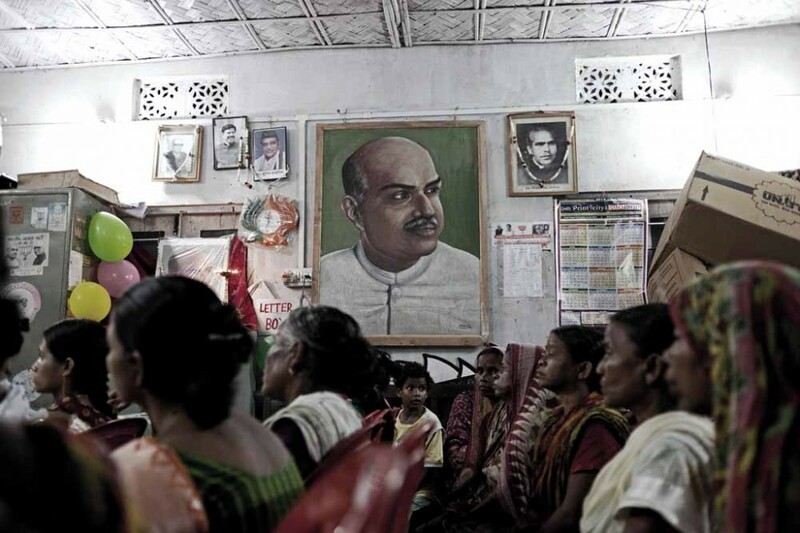 In Dhubri, elders still recall the echo of Maulana Bhashani’s slogan. A political mobiliser of great standing among the downtrodden Muslim peasantry of pre-Independence Bengal, he coined the slogan in the 1930s to call forth his followers to populate the sandbank islands of the lower Brahmaputra valley. cultivators began to arrive in hordes to parts of Assam such as Dhubri, Nalbari and Barpeta, soon causing alarm among the locals. Debates in the Assam Assembly from the 1930s and 1940s regarding matters of identity, language and most of all, resources, sound remarkably similar to the ones today. 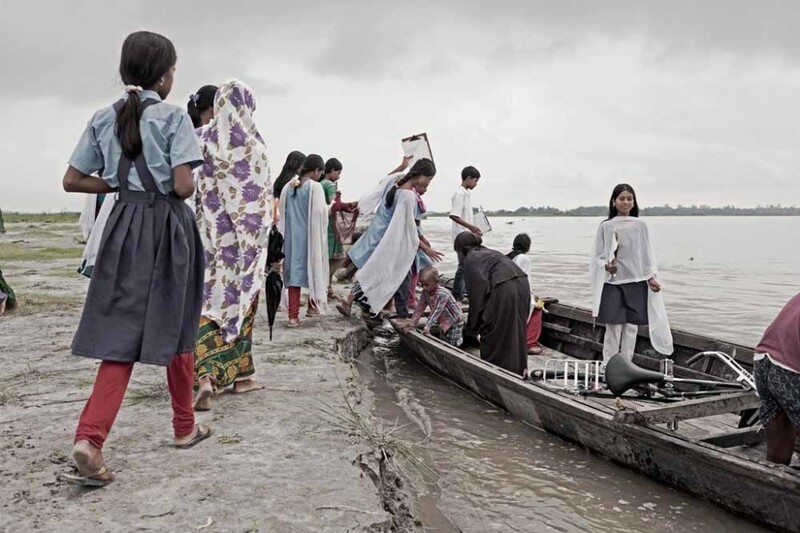 My own curiosity about the sandbanks, or chars, as they are locally know, was piqued when I went to Assam in 2012 to document the aftermath of the ethnic strife between members of the Bodo tribe and Bengali Muslims, that claimed over 100 lives and displaced nearly five lakh people. 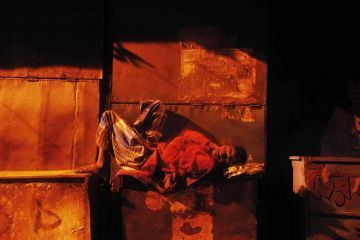 An air of xenophobia pervaded the air, with the bogeyman of the Bangladeshi illegal migrant surfacing on TV debates and living room conversations, even though ground realities pointed to something very different. I realised that memories and fears from 80 years ago were still very much alive in Assam, and to understand the story fully, I had to go to the source. 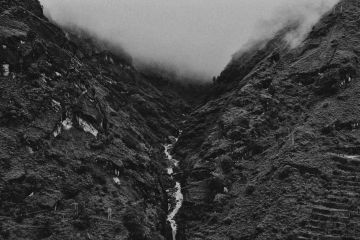 My work led me to the archipelago of sandy islands that lie on the widest stretch on the course of the Brahmaputra where the Indo-Bangladesh border lies unfenced over a six-kilometre stretch of fluid geography. 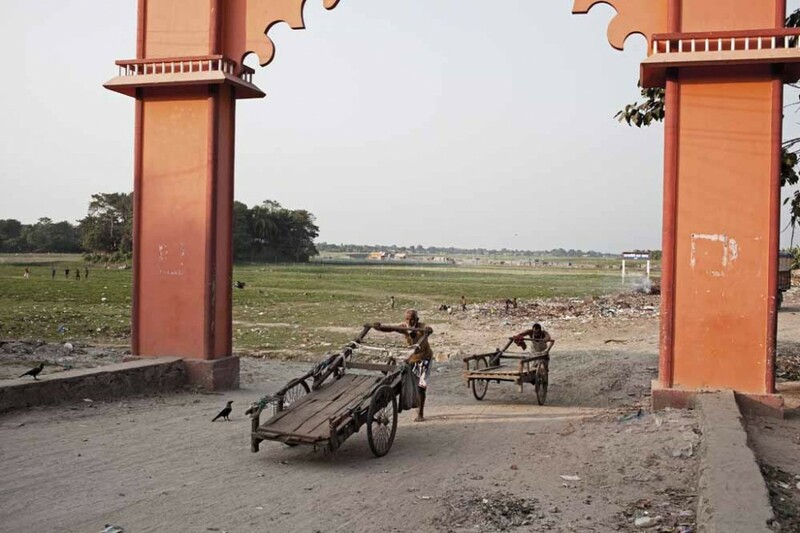 The peasant communities that live on the chars are at the centre of my photographic survey. Their interaction with the riverbank town of Dhubri, and onward with the rest of the state provide clues to some of the woes of the region. In 2012, their relatives and friends came under the crosshairs of Bodo militants that periodically terrorise them, driven by a zeal for autonomy shared less and less by their own people. The island dwellers on the other hand, itinerant for generations, owe their allegiance to land alone, regardless of nation states and borders. 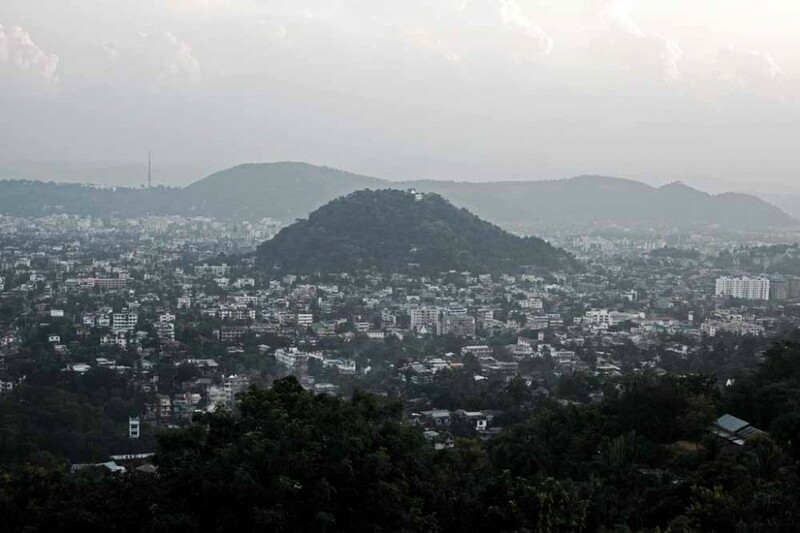 Unplanned urban development in Assam’s capital, Guwahati. The city sees seasonal migrants from the chars who form the backbone of its construction industry. 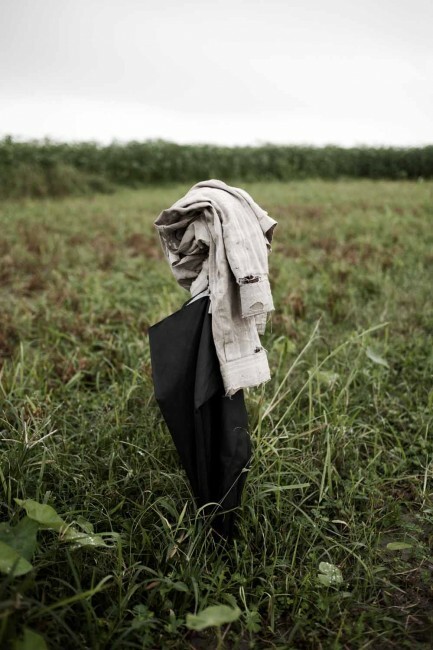 The belongings of a farmer from Takimari, an island village on the unfenced stretch of the Indo-Bangladesh border. 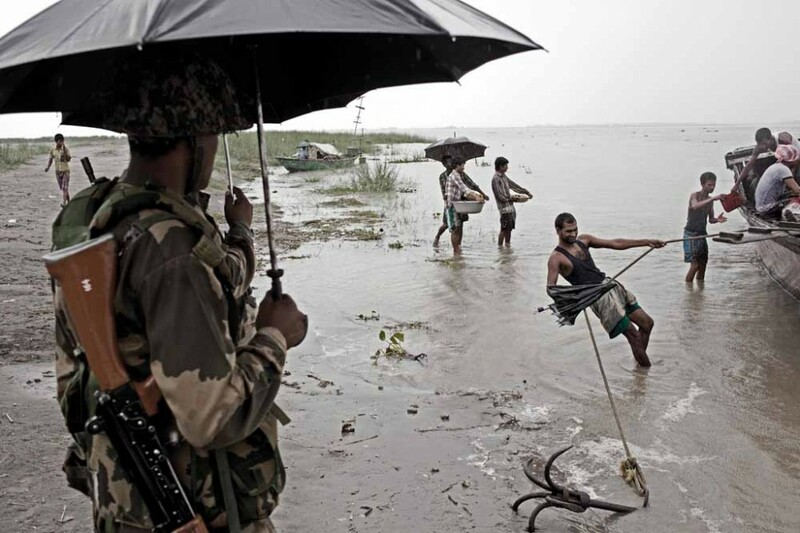 An Indian Army structure lies nearly submerged in the floodplains of Dhubri during the monsoon season. The plaque on the building reads “INDIAN ARMY SADBHAVNA—We care for our people”. A festival ground in the riverbank town of Dhubri that emerges as flood waters recede in winter. 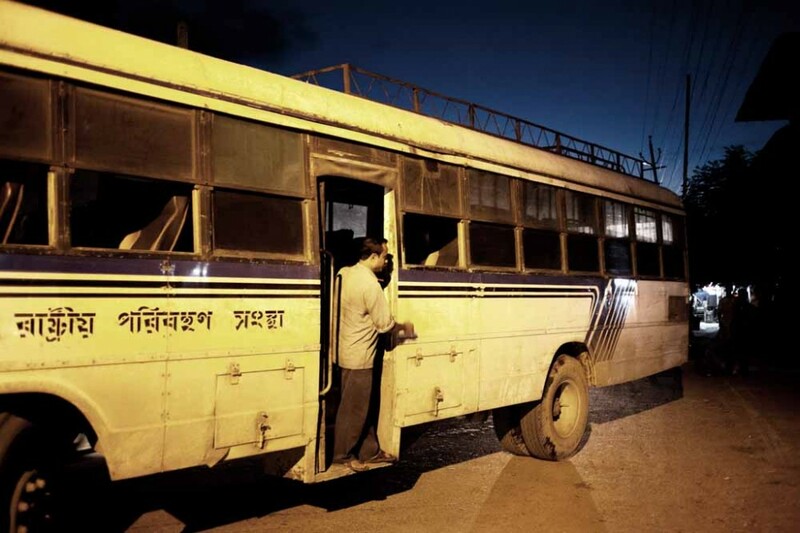 A district transport bus in Dhubri with Bengali lettering on the side. Fiery debates in the 1930s on linguistic rights led to Dhubri’s informal status as a Bengali district within Assam. 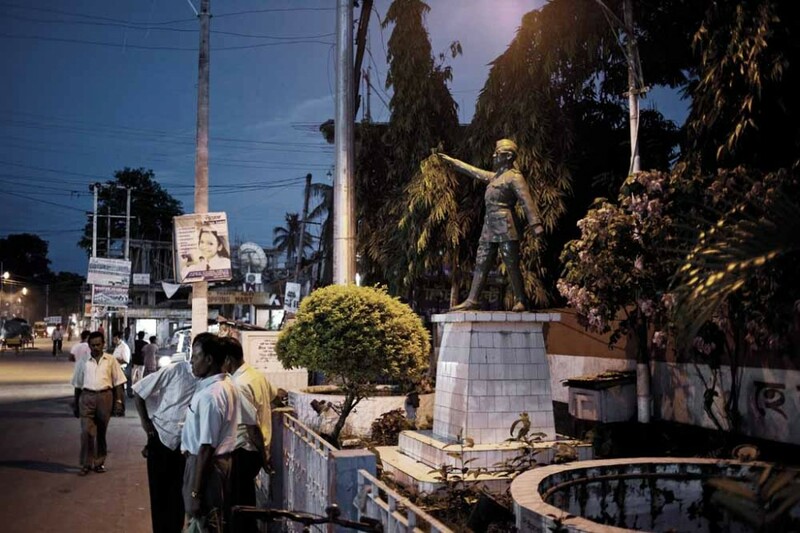 A statue of Subhas Chandra Bose, at the town centre, Dhubri. Memorial for Syama Prasad Mukherjee, who founded the Bharatiya Jana Sangh, the precursor to today’s BJP at the BJP office, Dhubri. A cadre of the National Democratic Front for Bodoland (Ranjan Daimary). 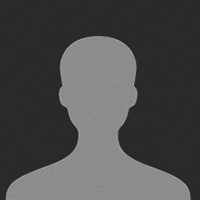 The militant outfit has been in a ceasefire agreement and engaged in peace talks since 2012. But other splinter groups have been responsible for disturbances in the state. 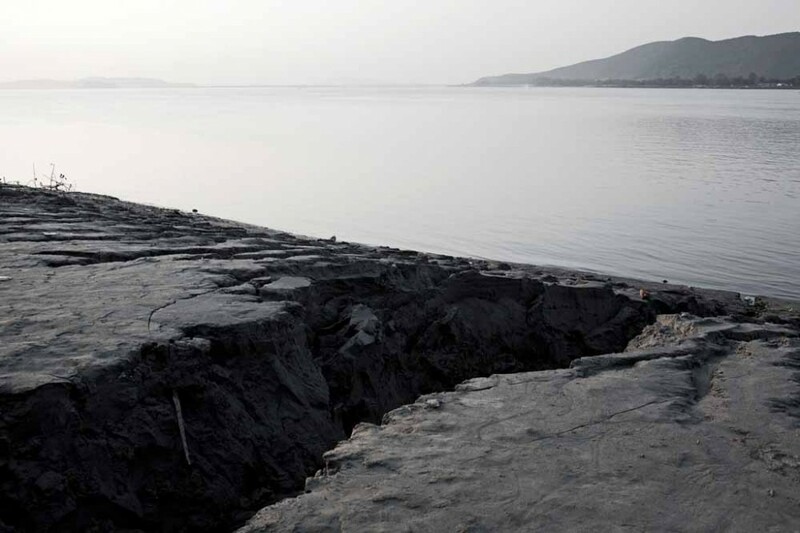 The riverbank breaking apart due to steady erosion, a typical feature of the Brahmaputra’s shoreline in Assam. 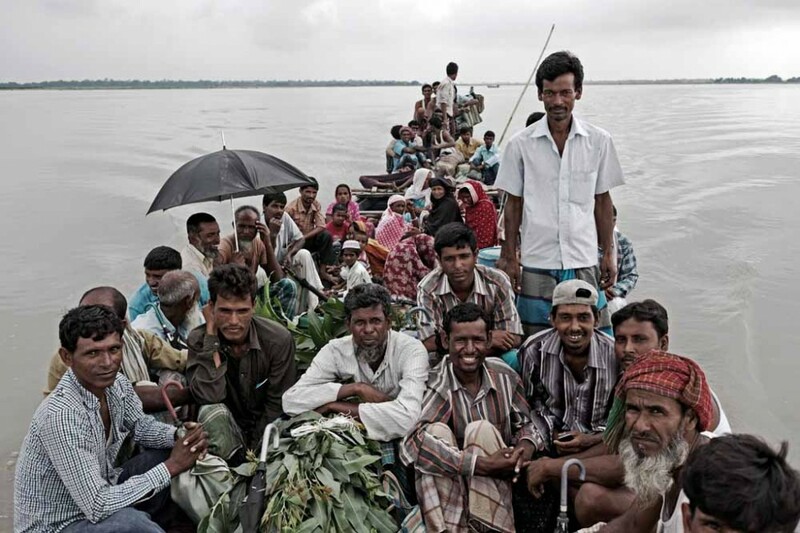 Residents of the neighbouring islands of Takimari and Patamari huddled together on a country boat, on their way to the weekly market in Dhubri town four hours upstream on the Brahmaputra. 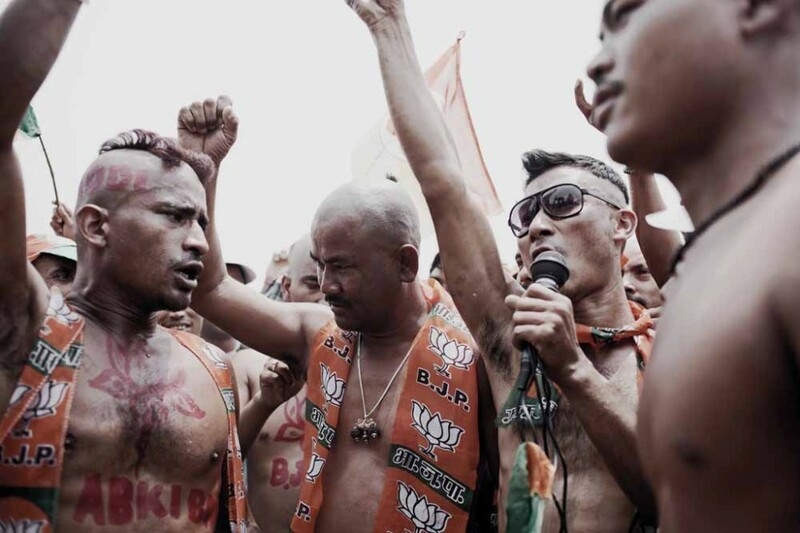 Bodo supporters of the BJP at a Narendra Modi rally in Mangaldoi, Assam, during the run-up to the 2014 general election. 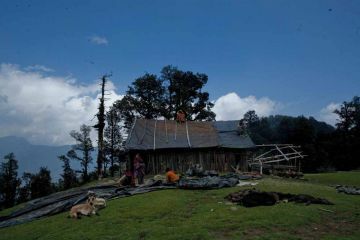 Sections of the Bodo community who harbour hopes of statehood along identity lines pledged their support to the BJP due to the party record of forming breakaway states. Boats being pulled ashore for inspection by border security forces. All boats plying to and fro the islands on the Indo-Bangladesh border are inspected for smuggled goods, arms and illegal migrants. 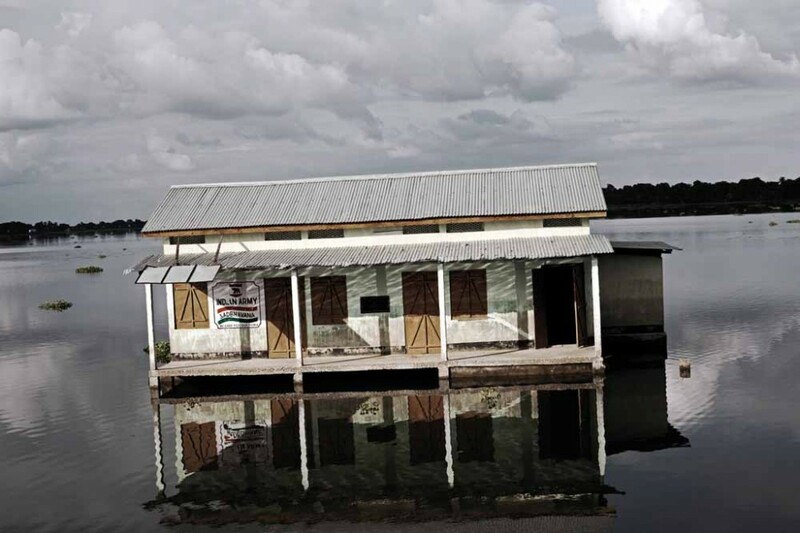 Older children from Patamari have to change three boats and cross two islands to get to their high school as their village only has a primary school. Contrary to popular opinion about them in the rest of Assam, the residents of the chars are enthusiastic about education for their daughters. 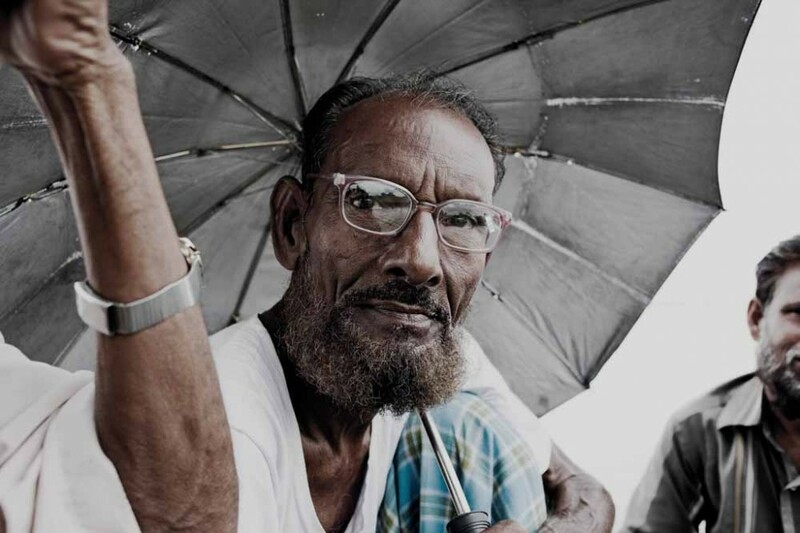 An elderly resident of Takimari, a frontier island village of India that lies on the six kilometre-long, unfenced border with Bangladesh. He helped ferry refugees fleeing the war in erstwhile East Pakistan in 1971 to safety. 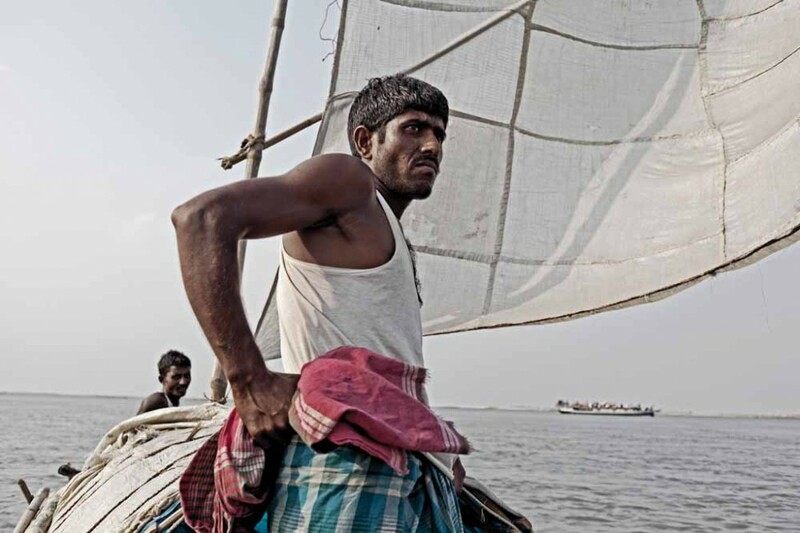 A fisherman from a char near Dhubri looks glum as the daily catch dwindles.